LONDON - Cider brand Brothers is relaunching its apple variant, to highlight the provenance of the product and position it away from rivals such as Bulmers and Magners. The product, formerly known as Original Apple, will be renamed Brothers Bittersweet Apple Cider. It will be sold in 500ml bottles and 10x250ml stubby packs, with the alcohol by volume (ABV) increased from 4.7% to 5.5%. The Somerset-based brand will back the launch of Brothers Bittersweet Apple Cider, as well as its more established pear cider variant, with a £2.75m ad campaign coinciding with the music festival season. Brothers Cider managing director, Matthew Showering, said: "The apple cider category has lacked significant innovation for some time, and we felt it was time to take our fast-growing brand and inject some excitement into the apple cider marketplace." 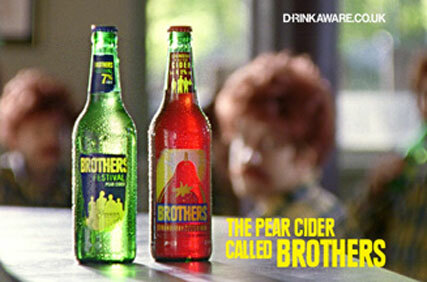 Brothers claims sales of its cider products in January and February were up 77% year on year.